I want chiropractic without going forever – can I do that? Q: I want a chiropractor without going forever…can I do that? A: Did you hear the one about the shady dentist who suggested that his patients come regularly for cleanings and to get checked for cavities, instead of waiting for a gum infection? One of the most misunderstood beliefs about chiropractic is that once you start, you have to go forever. You don’t. But some do. And here’s why. Many Chiropractic clients choose to continue care on a regular wellness basis after experiencing great results, but they do so simply because it makes sense – the body functions better without nerve interference. Brushing your teeth, going to the gym, taking your vitamins, eating your veggies, changing the oil in your car or saving for retirement. Somewhere along the road, you discovered that these activities add to your life as opposed to subtract from it, and it’s the same for clients who choose to checked in our office for an an ongoing maintenance basis. No one can make you do something you don’t want to. 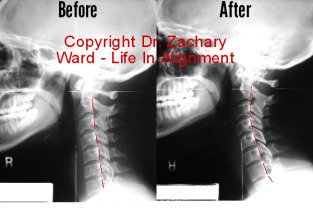 So, yes we offer short term, chiropractic relief care where we take things on a week to week basis. Everyone who decides to be helped in our office is actually asked their personal goals, and their care preference (relief only or restorative care). You only do what you want to do. However! We will recommend what we think you may need to achieve your goals, and those recommendations can change based on how you respond to care. Offering anything less than what we believe you need based on your unique situation is not doing due diligence. Just like regular car tune ups or staying physically fit, the choice to keep your spine and nerve system free from damaging stress for the rest of your life is totally yours… as are the benefits if you do and the consequences if you don’t. As long as you pass our screening process, we can work with you, even if it’s only week to week.